Proad to anounce the new and avant-garde sports facilities with 12 tennis courts as well as a gym, swimming pool and several football fields where young athletes can enjoy during their entire stay. Facilities that have residence for athletes within the same sports venue which contributes to a very comfortable experience for athletes in La Nucia, Spain. 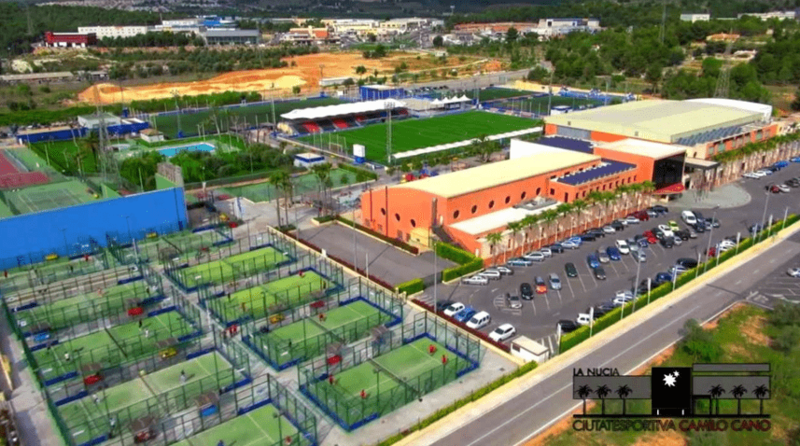 The new sports center is only 9 km from the main beaches of the city of Benidorm, which is one of the main cities of greatest tourist attraction in Spain and 60 km from the main airport of the province of Alicante. Thanks to its great location, you can organize recreational and tourist activities to learn about the culture and history of Spain and the Valencian region.